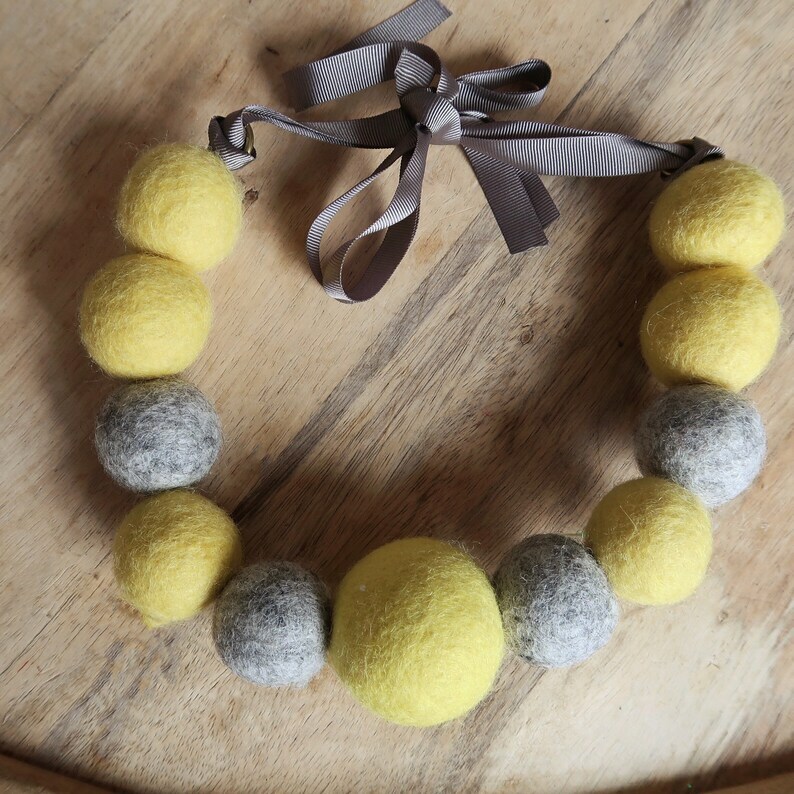 Cozy yellow and grey felt necklace on brass wire. Provides the perfect pop of color for any outfit. Please note that the felt balls are handmade and make have inconsistencies in color.